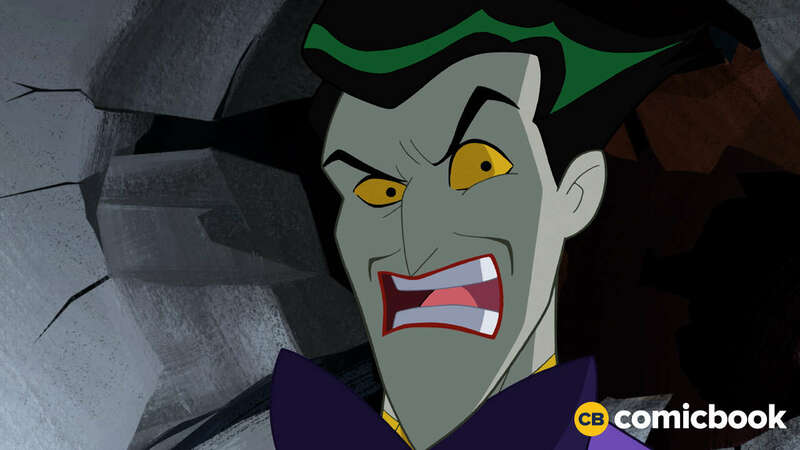 Mark Hamill is back in that other famous role of his in December, but you can hear his laughter this weekend when Justice League Action airs its next episode, featuring Mark Hamill as the Joker. In a crazy twist, the Justice League has to save The Joker (while also preventing his own latest crime) in the episode. In the exclusive clip WB Animation provided to ComicBook.com, Joker gets taken in the middle of his latest scheme, abducted by aliens. "When the Joker is abducted into space by Mongul in order to entertain his troops, the Justice League must recapture him before the Joker's gas bomb detonates in Gotham City." That's one wacky USO show. "Galaxy Jest" airs February 11, 2017, written by Duane Capizzi. It also reunites Mark Hamill as The Joker with Kevin Conroy as Batman. The pair have been voicing the foils since Batman: The Animated Series twenty-five years ago, across multiple animated series, films, and video game projects. They also returned for the very different The Killing Joke animated film last year. That R-rated animated project adapted the Alan Moore and Brian Bolland comic that put a cap on the Batman/Joker relationship, in a way. Hamill of course also returned to the role of Luke Skywalker in 2015's Star Wars: The Force Awakens, albeit only for one brief scene, in which he didn't get to speak a single line. He'll be back for this year's Star Wars: The Last Jedi in a much larger role, however. The actor has been having some fun with the Joker voice of late on social media, sharing clips of him reading exact quotes from Donald Trump's twitter feed and interviews as the Joker. 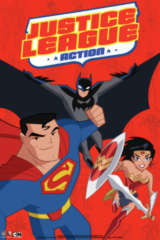 Justice League Action airs Saturday mornings at 7:30 a.m. ET/PT on Cartoon Network, and is also available on demand.